This was a fairly strong proposal to orbit some quasi-commercial space platform that would be visited by the Shuttle, back in the late 1980s. The problem was that NASA didn't see a need for this, and there never was a strong commercial component to the proposal. Anyway, this is the place where historical documents related to ISF could be maintained. Not quite. ISF was a competitor for the CMAM contract which Spacehab won. I'd love to see some documents on this idea. Calaway lobbied the United States government to be an anchor tenant in the proposed space station. In 1988, the Reagan Administration requested $700 million from the annual budget in order to participate in the project, but the request was not approved by Congress, and the space station was never built. The company eventually merged with Calspan Corporation, which in turn merged with General Dynamics Corporation. The ISF was scheduled for launch in the early 1990s. It was to have 31 payload racks housing up to 11,000 kg (11 tons) of commercial industrial and microgravity manufacturing experiments. It was to have a pair of 140 m² (1500 sq. ft.) solar panels each producing 20 kW of power. Software was developed that used a learning heuristic algorithm in order to most efficiently use the ISF's resources. I've got a stack of them about two inches thick, mostly articles, but also some thick presentations. Way too much to scan. I think I got most of them out of the NASA HQ archives (currently temporarily closed for renovations), but there might also be stuff in NTRS and online. I don't know anything about corporate records and if anybody from the company kept anything. There might be some AIAA papers on this. I suspect that there is some good documentation in Richard Truly's NASA files (I don't know where they are, but they're probably stored at NARA or the Federal Records Center). There was a pretty good Air & Space magazine about ISF in the early 1990s that dealt with the company's travails. That might be online somewhere. I was originally going to write an article about ISF, but never got the required ambition. The ISF story was complicated and somewhat convoluted. I believe it originally started out as an entirely independent proposal. They planned on generating the vast majority of their revenue from non-government sources. But after awhile they realized that there just wasn't enough money for that, so they then decided that they would get NASA as an "anchor tenant" for a big chunk of their revenue. But they ran into some serious headwinds, because they were competing against space station and NASA didn't like that. NASA officials were concerned that if they endorsed ISF for micro-g research, Congress might ask why the space station was needed and cancel it. And NASA officials also didn't believe that ISF was really necessary if they got their space station. I think that relations got bitter and ISF never got the government funding necessary to really get going. If you think about this, you can start to see some real thorny problems with the concept, because this was going to be a private mini-station that was serviced by the shuttle. How much should the government charge per servicing mission? Early shuttle missions to service comsats had been very heavily subsidized, but by the late 1980s, post-Challenger, the White House wasn't going to allow that kind of thing. And you can imagine how NASA suddenly deciding to increase shuttle servicing prices by 15% due to new accounting rules or some such might wipe out the ISF business plan. There are in fact a lot of parallels between what happened with ISF and later commercialization efforts. The increasingly stormy relations between a company and NASA officials of course happened with MirCorp. And there have been lots of private companies that have started out thinking that they could simply capture part of "the market" only to later discover that they really needed the government to serve as an anchor tenant. ISF is a great case study. A bit of ISF history there, notably how Max Faget was brought aboard the project. ...you have been found guilty by the elders of the forum of a (imaginary) vendetta against Saint Elon - BLAAASPHEMER ! 1993 - Space Systems Division to Martin Marietta. Work on ISF's research capabilities did produce some hardware and software that was eventually bought by GenDyn or applied elsewhere. I know of one engineer who worked on ISF and claimed to have used that experience to create the BRIC payload design that housed (among other things) the c. elegans experiment that survived STS-107. Given the long delays and high impediments to ISS research, I think the nation's human space flight program would have been a lot better off with ISF or something like it. (In fact, I rather we have built several ISF-type stations optimized for different types of research and activities instead of one large, fragile, cumbersome station.) But it's hard to see how ISF would have worked commercially as long as there was no alternative to STS for transport. 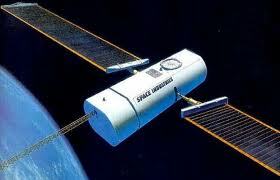 The merger into GD was in 2003 long after the Space Systems Division was gone. I worked at McDonnell Douglas during the period they were investigating the ISF for use with their electrophoresis drug processing project. I have some notes and presentations from the program if anyone ever is considering a history of this program. Yeah, I'm interested. But what I should do is what I did in the case of the early 1980s studies of an air launched spaceplane and write an article or series of articles and see who else has some material. So I may be in touch! Sounds a bit like Bigelow and his sovereign clients. I actually think that they're very different. For ISF it really was a case of essentially becoming a U.S. government contractor, although like many new-start aerospace contractors, they hoped to dictate the terms of the contract (for instance, keeping the government out of their business). The problem of course is that if the government is footing most of the bill, particularly for development, it becomes very difficult to insist that they have no right to get intense insight into your operations, safety, etc. I think that ISF hoped that NASA would buy perhaps 30-40% of their goods (i.e. less than half, so that they were not a "majority stakeholder," but still a substantial amount), and they would sell the rest to private customers. Other industries, like commercial remote sensing, hoped to do the same. As they matured and discovered that there was less of a private market than they hoped, they found themselves seeking more and more government money until they begin to look and act like a government contractor. Bigelow really wants to sell a service, presumably with his sovereign clients essentially just buying a ticket and being allowed to bring along their own stuff. If he signs up South Korea, Taiwan, Dubai and others there's no expectation that they will get to peer into his engineering designs (and ITAR would prevent that). They just get to fly. And so far as I know, he isn't seeking an "anchor tenant" that will buy a major amount of his product (although I'm sure that if one came along he wouldn't really object--unless it was the U.S. government, which would naturally want to get into the details). And there's a major flaw with the sovereign clients model (which Golden Spike is surely experiencing too): governments that start space programs do so in large part because they want to spend the money inside their own borders, developing their own technical and education and design assets. They don't really want to send that money outside of their borders. If I was running Dubai and decided to spend two billion dollars on space, why would I want to give it to an American company? Why wouldn't I want to spend it on my own companies and universities? In many ways that's a problem that you can see in many failed space ventures (including non-profit ones) over many decades: a failure by the entrepreneur/proposer to understand why governments or organizations or even individuals spend money on space. Lots of times people think that if they offer a service cheaper than others that people will want to buy it, failing to understand that many times they are spending the money to develop indigenous capabilities (inside their own borders, or organizations) and are therefore willing to spend more. They're not looking for "cheaper" stuff, but economic or technical or education development. The "sovereign clients" transmogrified into NASA not only as anchor tenant, but only tenant. When you are in business for real, what you do is look for qualified customers and try to sell to them (actually, you try to market to them, if you know what you are doing, but that is a different discussion. So, when it comes time to get cash to pay your home mortgage, you start ignoring unqualified customers and instead follow the money. In space business, most roads lead to NASA as the qualified customer, as happened with ISF and Bigelow. Was ISF originally going after sovereign clients? I thought that their target market was actually private companies like pharmaceuticals. I should look through my stack of materials on ISF. Sovereign clients essentially means other governments (many of which have investments funds--this is true for some Middle Eastern monarchies). That's who Bigelow and Golden Spike want to attract. But I can see Bigelow going the route of ISF, with NASA becoming their anchor tenant, then their only customer. Sorry, I was alluding to Bigelow there. My dim recollection was that ISF was originally targeting the usual pharmaceutical companies that never buy zero gravity products or services. Thought that the only way to make money manufacturing/growing stuff in orbit is if you can sell it in orbit bringing anything back down would be way too costly . Only in orbit market is food for astronauts. Incidentally if you could soft land upper stages on the moon their tanks would be wort a fortune if a lunar base is set up. You are suggesting that if someone manufactures a cure for cancer or some other disease in orbit, that it would cost too much to bring the pills/vaccine back down to Earth. Manufacturing prototypes maybe not bulk product as for a cure to cancer there will never be one cure for cancer . Imagine how much it would cost to launch materials process them and return them to earth savage expense indeed.